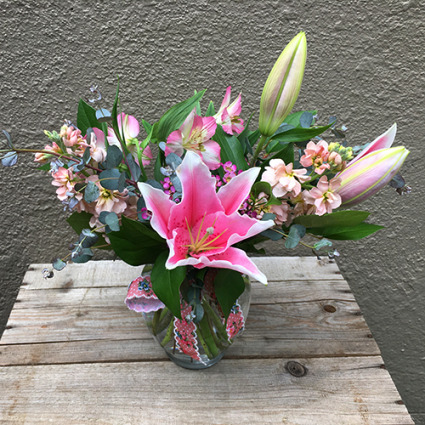 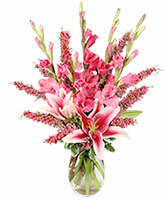 A sweet arrangement with pink lilies, stock and garden greens. 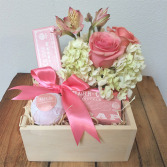 A luxurious gift box with a flower arrangement and premium bath products in a wood box packaged in cellophane with a ribbon. 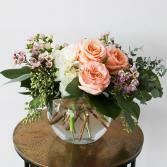 Call for other scents or other custom options.